In Australian radio, survey day has traditionally been about who’s first past the post. That is, which station or daypart holds the greatest average audience share of listening (as a percentage). Ratings are a key part of the marketing side of radio, with advertising being one of, if not the most important cog in the commercial radio machine. In Australia, advertisers and agencies have always bought advertising on radio based on share, not cume. But in the UK, and other parts of the world, cumulative audience data (cume) is the key measurement when it comes to gauging success. After his first survey in Australia, former Absolute Radio host Christian O’Connell told Radio Today that he felt ratings Down Under were “sharper” and that the stakes were higher. Fellow British expat and NOVA Entertainment group program director Paul Jackson often points to cume numbers on survey day when speaking with Radio Today, as a sign that all may not be what it seems, or at least what a share rating may suggest. In fact, if you look closely at key metro markets, measuring cume numbers often paints quite a different story and can reveal a completely different leaderboard. Perhaps unsurprisingly, it is Jackson’s stations that tend to dominate the market when it comes to cume. Below, Radio Today compares the cume and share results for the Top 5 stations in Sydney, Melbourne and Brisbane from Survey #7. Nova 96.9 is #1 in Sydney on cume with 986,000 ears. Despite losing -19K listeners, it’s almost 100,000 ahead of its nearest rivals KIIS FM with 903,000 (+40K). 2GB, which streams ahead in share, doesn’t even make the Top 5 when it comes to cume. It has 587,000 listeners and fell by -90K in Survey #7. None of this is particularly surprising, and it reinforces the idea that listeners of 2GB are fiercely loyal and are engaging more often, but that there are less of them overall (and falling). Melbourne paints a similar story, with traditional #1 share station 3AW not figuring in the Top 5 cume stations. 3AW has 668,000 listeners, and despite gaining +31K this survey remains outside the frontrunners and below ABC Melbourne with 982,000. 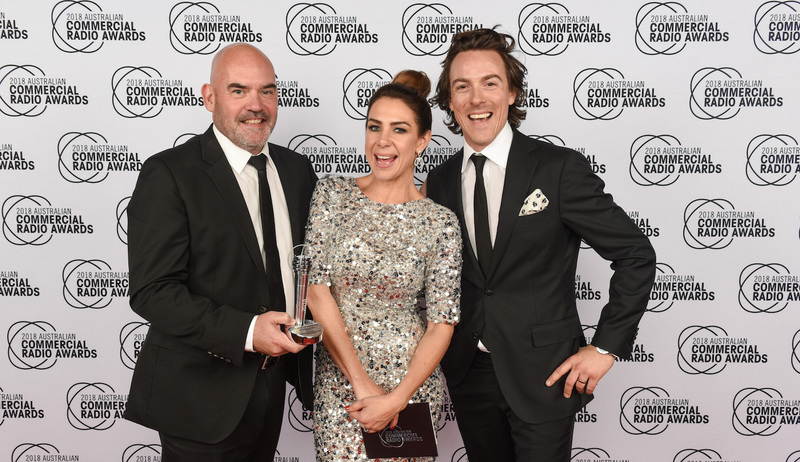 Fox FM are streaks ahead of its competitors with over a million cume listeners. Nova 100, who don’t traditionally figure when it comes to the top share stations, is in equal second place with Gold104.3. If cume was the key measurement in Brisbane, Nova 106.9 would be celebrating a big win this survey instead of Triple M.
Nova is top of the pile, with 577,000 cume audience (-23K) ahead of Hit105 with 498,000, then 97.3FM with 493,000, and finally share winners Triple M with 413,000. Catch up on all the results of Survey #7 here. If the UK and US use cume for ad agencies why doesn’t Australia get with it. Nova 96.9 is #1 in Sydney on cume with 986,000 ears…..as most people have two ears, then that equates to 493,000 people. Correct? Great article Zanda – great question Jet Lag! There’s a long tradition of Australian radio highlighting the share ranking on survey day – a certain amount of theatre, sports scoreboard and PR fodder. But away from the spotlight, stations and agencies are definitely using cume in their more complex number-crunching for campaign planning from survey data. Stations will also use cume as the basis for their own marketing planning, because like there’s no smoke without fire, you have no show of building share, if you’re not included as a cume credit in someone’s diary in the first place. Then there are big differences in formats and age-groups for cume and diary-keeping behaviour. Younger CHR stations generate large amounts of cume because of very high audience sharing between competitors, lower TSL and flicking. Talk stations don’t need quite as much cume, because their older, often retired audience will listen longer and fill out diaries more meticulously. Top stations in talk or music are generally able to generate both cume traffic, and longer TSL relative to their competitor set through stronger personalities and content. That all said, expect cume to be much more of a talking point when the new meter tech is trialled next year. This always brings TSL down, and boosts cume. Well … the thing you miss in the article is that the difference between CUME and AVERAGES is TSL (time spent listening) … and that is a crucial factor when it comes to making an advertising plan and thus spend. If you know how long a specific group (ie demo, occupation, etc etc etc) is listening for on average … you can plan how often you need to run your spot to reach as many of them as you can. Huge CUME with poor AVERAGES means people ain’t hanging around long … that equates to them getting bored, pissed off … whatever … but to a planner it means you need more spots, more frequently, more often … which means more $$$$$ to reach the same number of people on a station with higher AVERAGES. That is why we use AVERAGES in Australia. There ends the lesson. Learn some basics people. Mike is right. Why use cume, someone who listened for 15 minutes big deal you cant buy advertising around that. PJ only bangs on about cume because his stations are cume formats. He should look at his averages across the daytime. They are in terrible shape. Nova is a great brand has killer breakfast shows and a wonderful drive show. What aren’t they rating better I would ask. Content Directors are supposed to be Programmers not Salesman.